A prominent businessman is shot to death in a hijacking — killed for a car. Is it just another day in sunny South Africa, or is something bigger at play? For Matt Dreyer the death of his father seems like murdermost foul. This doped-up Hamlet of the 21st century is apsychologically disturbed young student trapped in a violent, uncaring world that is ultimately doomed to collapse. His mad obsession totrack down his father’s murderers drives him to overcome depression, the treachery of friends and attempts on his life. He must have revenge, no matter how ghastly the price to be paid. 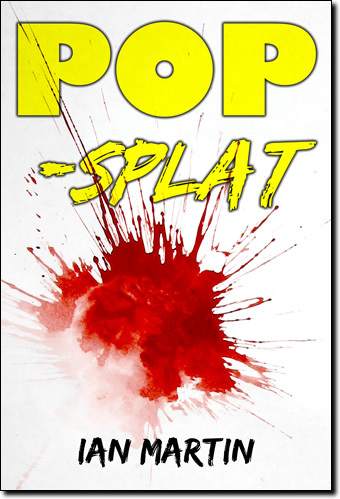 From the obscene suburb of Constantia to the debauchery of RhodesUniversity in grimy old Grahamstown, POP-splat races along at breakneck speed until the final blood-drenched scene is played out. Intelling “the disgusting story of Matt Dreyer’s short life” IAN MARTIN looks at today’s South Africa through cynical eyes and uses his unique brand of sick humour to satirize a sick society.